As a resident of Lansdowne for the past 48 years, Bill Smith finds the Borough to be a unique, welcoming and community oriented place. His twelve year old son and he often find things to keep them entertained and occupied – from the farmers market to the many parks to the arts festival they usually have something to do. Bill’s decision to seek the position of Tax Collector was due in part to his interest in giving back to the community and due in part to his desire to continue his public service to the Borough of Lansdowne. As the Borough’s next Tax Collector, Bill would establish a high level of cooperation with the Borough government and work with the residents and taxpayers to assist them in any way possible. Under his watch the Tax Collector’s office will be administered with the utmost integrity, transparency and professionalism. He will also interact with those that contact the office with the highest amount of respect and courtesy. Bill earned a Bachelor of Science degree in Accounting from St. Joseph’s University in Philadelphia, PA. He is a member of the Association of Certified Fraud Examiners and the Institute of Management Accountants. He has also been a Notary Public for over twenty years. Bill has approximately twenty eight years of professional accounting, finance, auditing, taxation, collections and municipal government financial experience. His background also includes time as a Borough Manager and Municipal Treasurer for two other Boroughs, currently serving in Sharon Hill as Treasurer/Finance Director. Service to the Borough has been part of Bill’s community life for many years. He has served on the Lansdowne Planning Commission for sixteen years and the chairperson for the past six years. 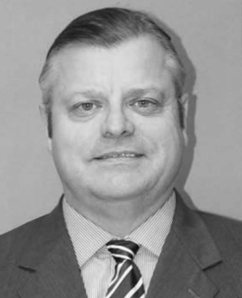 He has served for twelve years as a member of Borough Council and two years as Borough Auditor. Bill also served two years as the Lansdowne Borough Treasurer until the position was phased out in early 2008; in part as a result of his recommendation to do so.